Figure. In January 2002 at St. Vincent's Medical Center in Los Angeles, nurses gather before a news conference by then-governor Gray Davis on mandated nurse-patient ratios in hospitals. California is still the only state in the country to have enacted such a law. As of January 1, mandated minimum ratios have been lowered to 1:3 for step down units and 1:4 for telemetry and other specialty care units. "By all accounts, the ratio law has been a success," says Zenei Cortez, RN, a member of the Council of Presidents of the California Nurses Association/National Nurses Organizing Committee. "We have seen a large increase in the number of RNs licensed in California since the ratio law went into effect, and the rate of turnover has decreased because of increased satisfaction." According to Cortez, the staffing law has improved patient safety and helped save patient lives, allowed nurses to be stronger advocates for their patients, and raised interest in nursing as a career. Despite the optimism of the California Nurses Association (CNA), the California nurse-patient ratio law remains controversial. Solid data attesting to its success have not yet been compiled. Similar legislation proposed in other states has come up against stiff opposition from the health care industry. When the mandate was first proposed in California, hospitals claimed that the ratios could not be met and that they would end up closing beds to comply with the law. They also stated that the expense of hiring nurses to meet the ratio would put an undue burden on their facilities. Conversely, many nurses believed that mandated ratios would solve problems in the work environment and boost hiring and retention. The reality is probably somewhere in the middle, according to Joanne Spetz, PhD, an associate adjunct professor at the University of California-San Francisco (UCSF) School of Nursing. "It has not been proven that it is a good thing or a bad thing. The rollout of ratios is still quite recent, and the effects are not yet clear." While several researchers are studying the impact of the California minimum nurse-staffing legislation, no empirical studies have yet been published. "We will have a better idea over the next year as to the benefits and costs of the ratios," says Spetz. The worst predictions have not come to pass. While there are no empirical data on the financial effects of the law on hospitals, it's doubtful that it can be blamed for hospital closures, says Jean Ann Seago, PhD, RN, an associate professor in the Department of Community Health Systems at the UCSF School of Nursing. "For those [hospitals] that were marginal prior to the law, anything could have pushed them over the edge. If they were already running in the red, this may have just been the final straw. The hospitals that ended up closing weren't financially solvent to begin with." With a nursing shortage looming large, hospitals stated that they would simply be unable to find staff to fill the vacancies created by the mandate. But data from the California Board of Registered Nursing show that the number of RNs with active licenses increased by more than 60,000 between June 30, 1999, and December 30, 2005-from 246,068 to 306,140. The CNA also maintains that more RNs are now entering California than leaving, which is a reversal of a previous trend. Kaiser Permanente, which operates 19 hospitals in the state, made an early decision to embrace the ratio law. They implemented the mandated ratios before the law went into effect and, in many cases, exceeded the requirement. "For the most part we are maintaining the ratios, and it has helped us to stabilize our vacancy and turnover rates," says Marilyn Chow, DNSc, RN, FAAN, vice president, Patient Care Services, Kaiser Permanente. "Our vacancy rate is 6% across Kaiser facilities in California, and our turnover rate is under 4%. We are very pleased with that." Chow points out that the level of acuity among patients on medical-surgical units today is comparable to that of ICU patients in the 1970s, when ICU minimum staffing regulations first went into effect. "We should be striving to make sure that nurses have the support that they need," she says. "Ratios alone are not the solution," says Chow. Although ratios have played an important role for Kaiser, Chow emphasizes that they are just part of an overall plan to improve the working environment for nurses. "It's never just one thing, but has to be a combination of factors if you want to attract and retain staff." 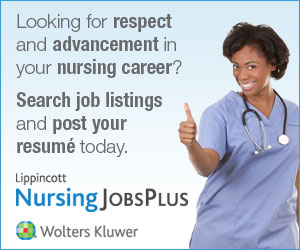 Kaiser offers very competitive wages and educational opportunities for nurses, and the incorporation of technology into work settings is under way. "We have to continue being vigilant," Chow says, "because you also have to look at the workplace structure and the relationships with staff." There is a general sense that staffing has improved overall since the implementation of the ratio law, but other improvements may also be spurring nursing staffing, according to Spetz. "It's also not clear that enforcement of the ratio is very rigorous. Noncompliant hospitals are supposed to be cited, but it doesn't seem like the consequences are very large and I don't believe that a legal case has been presented." Nurses have also reported anecdotally that although ratios have improved the environment, working conditions remain poor in other respects-in some facilities, for example, it's still not possible to take legal breaks (breaks that still maintain required nurse-patient ratio). There have also been complaints of hospitals eliminating ancillary personnel-such as certified nursing assistants and unit clerks-thus increasing the RN's workload. "We have heard that, and there is a lot of concern that it is happening," says Spetz. "I wouldn't be surprised if the data showed that, but unfortunately we don't have any data to show how widespread the problem is. We need a mix of personnel, and we don't know how this has affected patient care." So for now, nursing unions are touting success while others are waiting for the data. The real question is whether the law translates into better patient outcomes.